R for Rabbit Upsy Daisy Smart Hip Seat Baby Carrier is one of the top baby carriers for newborns in India that give parents bonding time with their baby while also freeing their hands to do other tasks. R for Rabbit Upsy Daisy Baby Carrier is an easy to use and comfortable hip-seat carrier designed to offer you and your child with safety and comfort. It is listed in our 5 best baby carriers in India. Babies love to snug close to their mom or dad. The warm comfort and gentle rhythm of their parent’s beating heart help them feel calm. However, the truth is, your arm and shoulders are likely to get very tired if you carry around a growing baby the entire day. This is what baby carriers are for. It allows you to keep your baby close and content and freeing your hands to perform other tasks. On that note, Upsy Daisy hip-seat carrier by R for Rabbit is here to ensure that not only do you keep your baby close to you but also that your back and spine is safe from damaging strain. 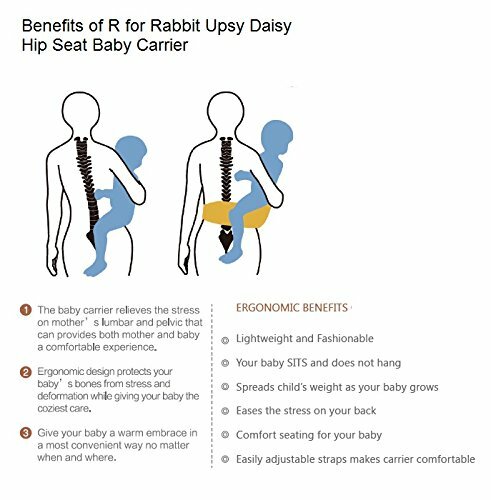 Created by R for Rabbit, Upsy Daisy hip-seat carrier helps relieve the damaging strain to the mother’s spine. Upsy Daisy hip-seat carrier is able to help mothers in relieving the strain on their back. It is because of the smart and innovative design of this particular hip-seat. 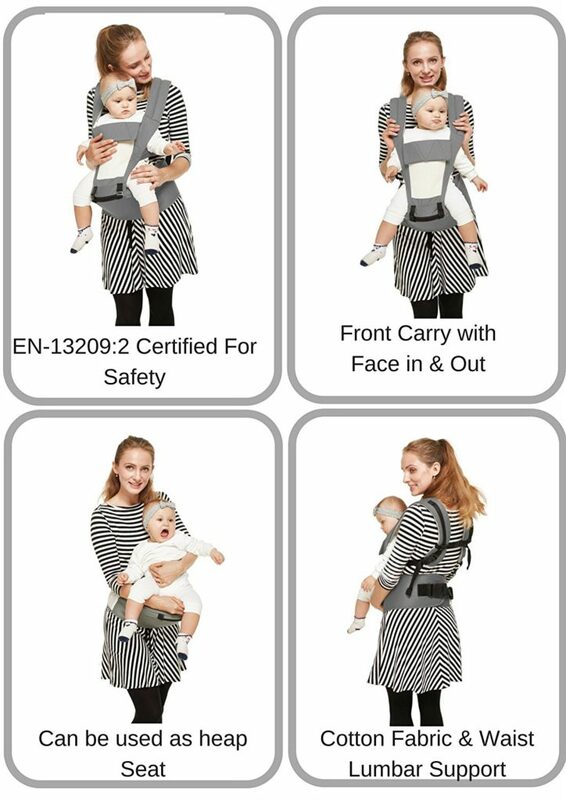 Comfortable and Ergonomic Design– One of the best advantages of Upsy Daisy hip-seat carrier is its waist belt and shoulder straps that are comfortable and ergonomically designed. With this design, you can easily use this baby carrier for a long time without giving you so much strain. Adjustable Carrier and Breathable Fabric – One of the problems of wearing baby carriers are the suspicions that it contributes to hip dysplasia. The Upsy Daisy hip-seat carrier is able to counter through its breathable fabric and adjustable carrier that provide optimum comfort to your child. 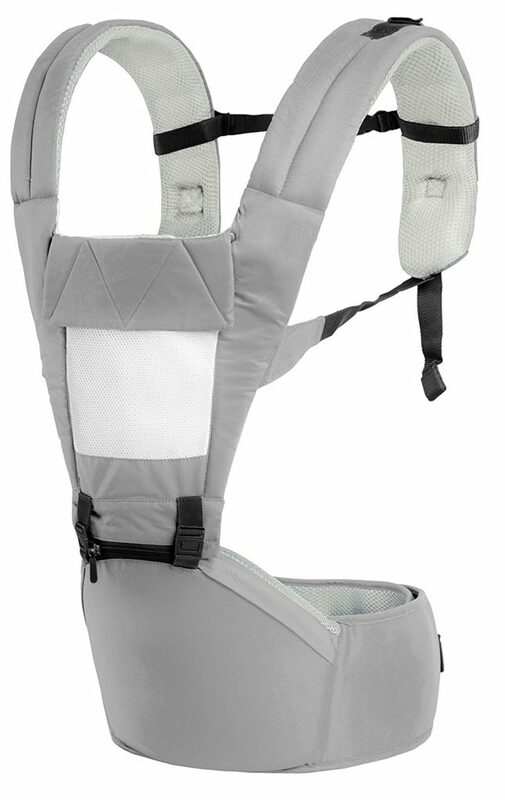 Hip Seat and Padded Shoulder Straps – It comes with secure hip seat and padded shoulder straps. They ensure that parents have maximum comfort and reduce the risk spine injury. Soothes and Reassures Your Baby – This carrier allows you to carry your baby high up to your chest and keep close to your heart. It lets the baby be soothed and reassured by the sound of your voice and heart as well as the warmth of your body. Multi-Directional Versatility – R for Rabbit Upsy Daisy Baby Carrier comes with multi-directional versatility. It allows you to easily carry your baby in multiple ways. You can do a front carry face-in or face-out. The detachable hip seat lets you use it left, right or center positions. Too Much Artificial Fabric – User complains that the product used too much artificial fabric. It makes the product unsuitable for hot climates. Hard to Mount and Take off – The product is little cumbersome to mount and detach single-handedly. 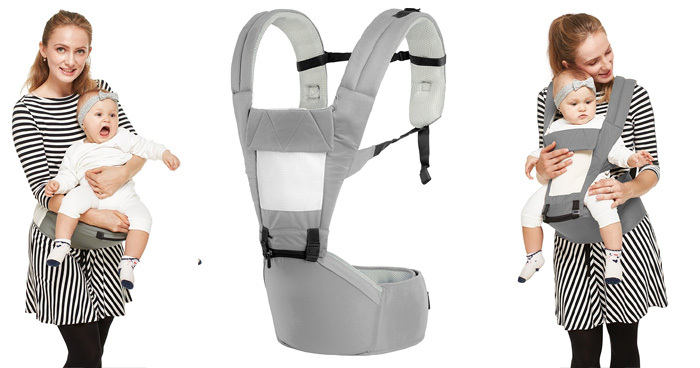 Overall, R for Rabbit Upsy Daisy smart hip-seat carrier is certainly one of the best baby carriers in India. It offers wide range benefits designed for the maximum comfort of both the baby and mother. Compared to its negatives, this product is quite comfortable to carry. You can do the daily tasks easily carrying your baby in it.